The Lamb Inn benefits from its own inside hot tub with built in music centre and colour changing lighting. A sheer indulgence. A powerful multi jetted treat with ample room for five people in the perfect position for sunsets and a glorious view of valleys and trees. 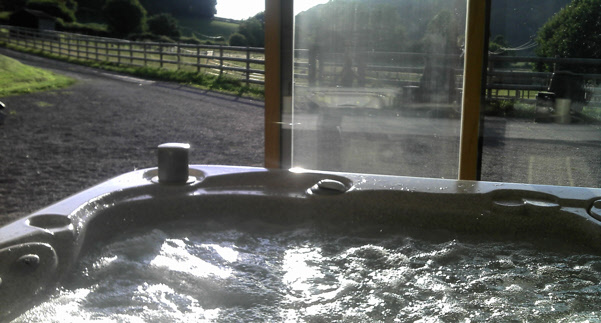 When the Lamb Inn is unoccupied the hot tub is available for all paddocks guests on request.